Irving, Texas — Fluor Corporation announced that its joint venture with TechnipFMC has successfully completed its engineering, procurement and construction management services scope of work on Sasol’s world-scale petrochemical complex in Westlake, Louisiana. The joint venture will continue to provide assistance to the Sasol team with remaining activities by working with Sasol in parallel on transition plans for each unit and system. The joint venture team will also assist in performance testing for the complex. 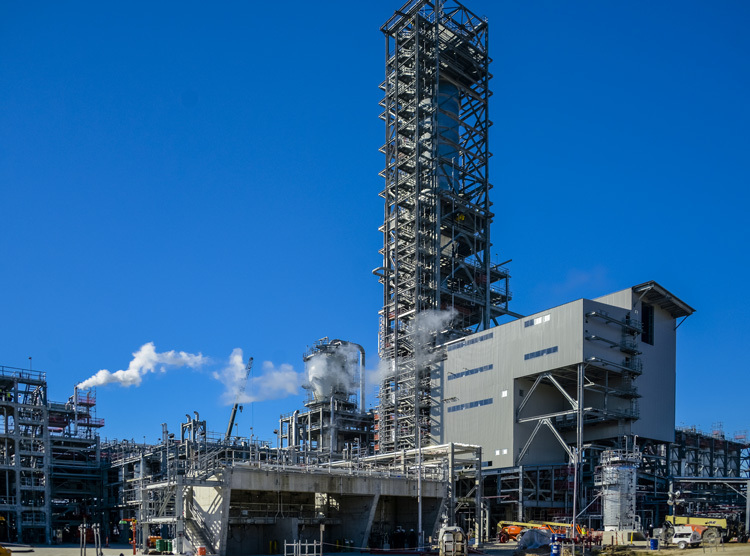 A 1.5 million-ton-per-year ethane cracker is at the heart of the complex, which also includes six downstream chemical units and associated utilities, infrastructure and offsites. The Fluor joint venture integrated a team of 30 main construction contractors and worked in collaboration with Sasol to strengthen the local economy, with more than $4 billion committed to Louisiana businesses. AMECO, Fluor’s equipment division, provided construction equipment to various subcontractors onsite. The joint venture also invested in the local community by contributing more than $185,000 to local schools and charitable organizations throughout the project.